Since ancient times, humans have tried to fathom how and why life began. Are we getting any closer to solving the riddle? Sir Winston Churchill, in an October 1939 speech, famously referred to Russia’s potential role in World War II as “a riddle wrapped in a mystery inside an enigma.” People have applied the aphorism to all sorts of things since then, not least to life itself. Modern scientists have put a great deal of painstaking effort into unwrapping it, but so far to no avail; life is so much more than a collection of molecules—wonderfully complex and hard to understand. Perhaps surprisingly, where science fails and remains silent in explaining what life is, the Bible, a much-ignored and maligned source, furnishes an informative perspective. One reference to life, which in a sense confirms what science tells us, comes from the Old Testament book of Leviticus. It states that “the life of the flesh is in the blood” (Leviticus 17:11a). Of man, we are told: “The Lord God formed man of the dust of the ground, and breathed into his nostrils the breath of life; and man became a living being” (Genesis 2:7). So according to both the Bible and science, human life depends on blood and on “the breath of life”—that is, oxygen, which the blood carries throughout the body. Further, Solomon tells us that human beings and animals have “one breath” (Ecclesiastes 3:19). There is, then, a common link at the very fundamental level between these living things—something that science likewise affirms. So in what may seem to some to be the ultimate irony, scientific and biblical evidence about one of the requirements for life is essentially in agreement. But just what is life? Will an evolutionary worldview further our understanding of its origin and purpose? Can life be defined? Biology and its related fields have made spectacular progress in the last 70 years, making it fairly easy to explain what a living organism is composed of, what processes occur within it, and why they occur—but not what life is. Put a frog that’s just died next to a live frog. What’s the difference between the two? The latter has sentience and is an autonomous entity, but the former has lost these attributes. The live frog responds to external and internal stimuli and is capable of self-sustaining processes such as ingesting nutrients, respiring and reproducing. The dead frog is now a collection of molecules; its body will be broken down into its constituent elements in time. What happened to the life of the frog when it died? Did it go someplace else—a frog heaven, perhaps? King Solomon gave this answer: “For what happens to the sons of men also happens to animals; as one dies, so dies the other. . . . All go to one place: all are from the dust, and all return to dust” (Ecclesiastes 3:19–20). “From dust to dust,” as we often hear. Have we learned anything more since Solomon’s time? Through exhaustive experimentation, we have indeed dissected the living process. But like anything else we reduce to its smallest component pieces, the essence of the object is lost in its reduction. Is life just a collection of physiochemical processes? Do these processes define what life is? Surely they exist within an organism by virtue of it being “alive.” Any living thing is an integrated system, just like a bicycle: disconnect all the parts and bicycle-ness disappears. Addy Pross, What Is Life? The same applies to all the molecular machinery present within a living organism, right down to its cells. The machinery is only present because a living organism has the inherent ability to build it. This capacity to be alive chemically was passed on by its parents, who had the same passed on by their parents, and so on. If understanding the nature of life has been a struggle for even the brightest scientists, what about the origin-of-life question? How do they account for it? How life came to exist in the first place is a question that has baffled humankind from antiquity and remains a mystery to this day. To explain the origin of life, Aristotle proposed spontaneous generation from nonliving organic matter. Observations of maggots crawling out of rotting flesh, or fleas from dust, apparently confirmed such a belief. Another theory rooted in ancient history is preformationism. Hippocrates and others held that life forms start off in one or both parents’ seminal substance and contain all of the adult structures in miniature. These then develop further by the addition of mass. Variations of this view became popular again in the late 17th century to try to explain how God had designed life. Nicolas Malebranche, a French philosopher and Roman Catholic priest, advocated that every living thing that would ever exist actually came into being at the time of creation. Preformation was discarded when increasingly powerful microscopes showed the early stages of embryonic cells undergoing successive changes to become specialized and form various organs and other structures. New individuals, scientists learned, result from the combination of egg and sperm, not from being folded up inside an egg or a sperm cell. Although Dutch merchant Antonie van Leeuwenhoek (1632–1723) was the first to observe cellular life with the aid of the single-lens microscope he had developed, his term “wee beasties” never caught on. It was his contemporary Robert Hooke who coined the word cell. Another century passed before German botanist Matthias Jakob Schleiden concluded that all plant tissues are composed of cells. A year later, in 1839, Theodor Schwann reached the same conclusion about animals. 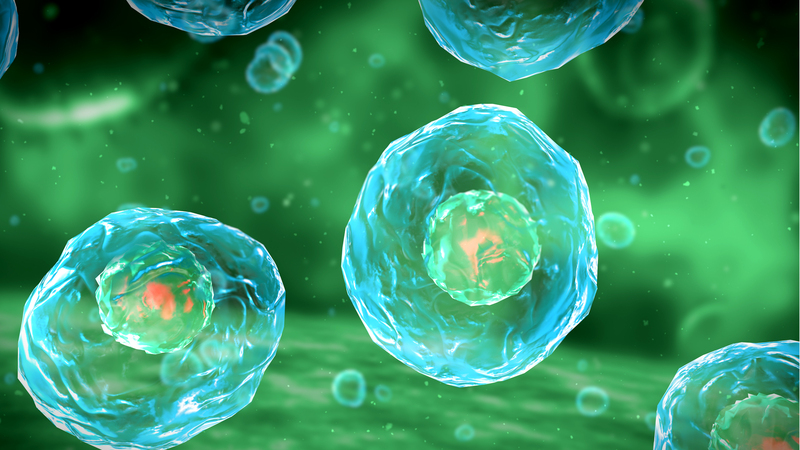 This merged botany and zoology under the unifying “cell theory.” In 1855 came an important contribution from researchers Rudolf Virchow and Robert Remak regarding cell regeneration. Their work led to the conclusion that living cells originate solely from preexisting cells, thus establishing the law of biogenesis as part of the cell theory. Louis Pasteur, a French chemist and microbiologist renowned for medical discoveries that lent support to the germ theory of disease, hammered what seemed to be the final nail into the coffin of spontaneous generation. In 1862 Pasteur conducted an experiment in which he sterilized a broth by boiling it and keeping it from the air, which he believed contained germs. He showed that only when exposed to the air for some time did the once-lifeless broth become contaminated with bacteria. This led to the conclusion that life could not arise spontaneously from inanimate matter. Abiogenesis (life emerging from nonlife) could now be set aside on a scientific basis. Physicist Erwin Schrödinger’s 1944 book What Is Life? supported Haldane’s hypothesis, essentially reducing the indefinable “marvel” of life to a chemical reaction. Life was merely matter in motion. Chemistry and physics were integrated into biology, speeding up the arrival of molecular biology and leading to major discoveries, including the structure of DNA. Schrödinger thus profoundly influenced all later researchers of the origin-of-life mystery by encouraging them to design their investigations in terms of chemical evolution. The best-known contributors to the origin-of-life problem were American chemists Stanley Miller and Harold Urey, who entered into the story when belief in spontaneous generation through chemical evolution gained ascendancy. The 1953 Miller-Urey experiment simulated supposed prebiotic conditions based on the Haldane-Oparin hypothesis. Their experiment was a success: they showed that life-relevant organic compounds could have been generated on the early Earth. Among the resulting products were very small quantities of a few amino acids. Because amino acids are the building blocks of proteins, the experiment was initially hailed as virtual proof that organic chemicals, and ultimately life, could emerge by chance chemical evolution. As Miller stated in a 1996 interview, the key to the experiment was that, “although there is a dispute over the composition of the primitive atmosphere, we’ve shown that either you have a reducing atmosphere or you are not going to have the organic compounds required for life.” But was the primordial atmosphere hydrogen-laden, oxygen-free, and rich in methane and ammonia, as the Haldane-Oparin model had postulated and Miller likewise presumed? Physicist Paul Davies argued that “geologists no longer think that the early atmosphere resembled the gas mixture in Miller’s flask” (The Fifth Miracle, 1999). He went on to reason that hydrogen, the lightest element, would have quickly escaped into space and that an abundance of methane and ammonia on early Earth was “unlikely.” Methane is formed by a protracted action of pressure on buried vegetation. But there would have been no vegetation on the lifeless Earth. So perhaps other factors account for primordial methane? Or perhaps there just wasn’t any. Subsequent studies conclude that the early Earth’s atmosphere was in fact methane-poor and oxygen compound–rich. As far as Haldane’s prebiotic soup is concerned, let’s suppose that it was possible to make amino acids using various chemicals including methane. How long would they be available to form a protein? What is their chemical shelf life in this volatile environment? Even in a best-case scenario, if amino acids did form, left-handed and right-handed versions would have occurred in equal proportions. Proteins in living systems today use only left-handed forms. The specific affinity for one over the other is another mystery of life. While theories and hypotheses remain abundant, counterarguments are no less plentiful. It is now understood that the Miller experiment did not simulate the primitive atmosphere. But even if it had, the concentrations of “ingredients” produced would not have resembled those that give rise to life today. And generating a small number of amino acids is no evidence that life in the form of cells emerged in prebiotic soup by spontaneous generation. It seems incredible that the cell, with its intricate and detailed operations, could just weave itself together, even given almost unlimited time. For example, if one reduces heredity to its most basic, the troubles multiply quickly. 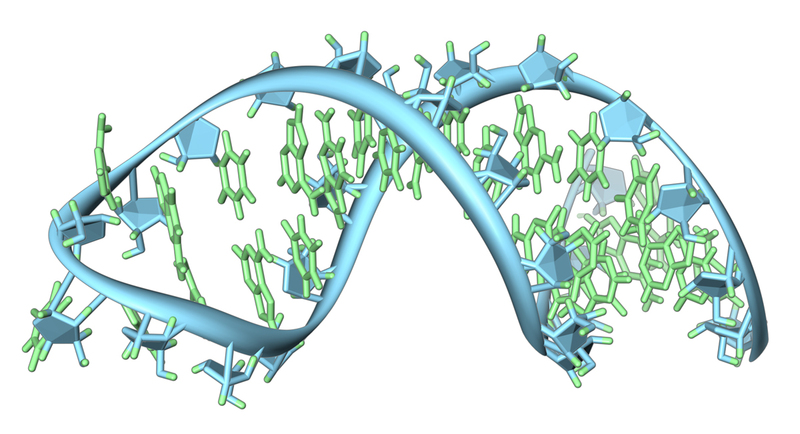 Copies of DNA are made when a cell divides. Making these copies requires some specialized proteins and some companion molecules known as RNA. Without them there would be no DNA replication. But a cell makes these proteins and RNAs by using the information code stored in the DNA. So—if a complex sequence of specialized chemical players is required during DNA synthesis, and if those proteins cannot be made without the DNA code, then we have an apparently unsolvable dilemma. If proteins require DNA instructions, and the inheritance of those instructions requires proteins, how can we get beyond one cell, one set of information? Today, of course, the process works just fine. Your body, which is made of about 30 trillion cells, would not exist otherwise. But how could this replication have taken place the first time in that imagined primordial first cell? Science continues to seek a materialist answer to the origin of life because materialist answers are the realm of science. Yet the rules of life that science itself has discovered seem to indicate that there is not a materialist answer to find. But when one accepts the scientific evidence that biogenesis (the hypothesis that life requires a living source) is a fact and that abiogenesis remains little more than wishful thinking, then a path to understanding the mystery of life emerges from the fog. A Source of life does exist, and it is closer to hand than most realize. Yet until humanity is willing to acknowledge that Source, the origin of life will undoubtedly remain a perplexing mystery. Life is an undeniable miracle, and the fact of life is a powerful testimony to the existence of an initial life-giver. The apostle John wrote of the life-giving essence of God. Referring to Jesus Christ, he wrote, “In the beginning . . . the Word gave life to everything that was created, and his life brought light to everyone” (John 1:1–4, New Living Translation). John also recorded Jesus’ own words: “The words that I speak to you are spirit, and they are life” (John 6:63b). This “life” has a dual meaning as it refers to both the physical today and the potential for eternal nonphysical life in the future. God is the originator and sustainer of life in the past, present and future (Colossians 1:17). During his travels, the apostle Paul came to Athens, where he remarked to the ever-curious Greeks that there was a God they did not yet recognize. They referred to that deity simply as “the unknown god.” Paul explained that this mysterious God was above all others that could be imagined and personified, because this was the true Creator “who made the world and everything in it.” Alluding to Jesus, Paul continued, “He has made from one blood every nation of men to dwell on all the face of the earth.” His purpose, Paul continued, was “that the nations should seek the Lord . . . and find him—though He is not far from each one of us” (Acts 17:22–27). Though the scientific study of life will always be intriguing and will undoubtedly yield much additional knowledge, the nagging mysteries of life itself—its origin, future and ultimate purpose—cannot be solved in a laboratory. The answers simply lie beyond the realm of science. Paul Davies, The Fifth Miracle: The Search for the Origin and Meaning of Life (1999). Henry Harris, The Birth of the Cell (1999). Antonio Lazcano and Stanley Miller, “The Origin and Early Evolution of Life: Prebiotic Chemistry, the Pre-RNA World, and Time” in Cell (June 14, 1996). Stephanie L. Olson, Christopher T. Reinhard and Timothy W. Lyons, “Limited Role for Methane in the Mid-Proterozoic Greenhouse,” in PNAS (October 11, 2016). Addy Pross, What Is Life? How Chemistry Becomes Biology (2012). Rensselaer Polytechnic Institute, “Setting the Stage for Life: Scientists Make Key Discovery About the Atmosphere of Early Earth” (November 30, 2011). Michael P. Robertson and Gerald F. Joyce, “The Origins of the RNA World” in Cold Spring Harbor Perspectives in Biology (2012). Erwin Schrödinger, What Is Life? The Physical Aspect of the Living Cell (1944, 1992).